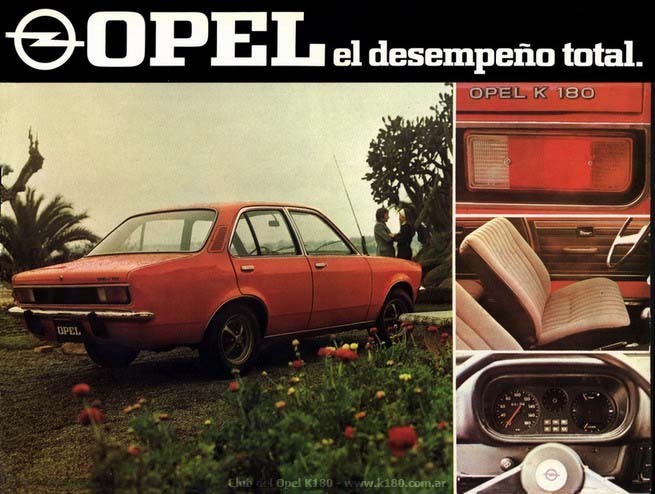 The original T Car in Argentina was the Opel K180, launched in November 1974 for the 1975 model year. 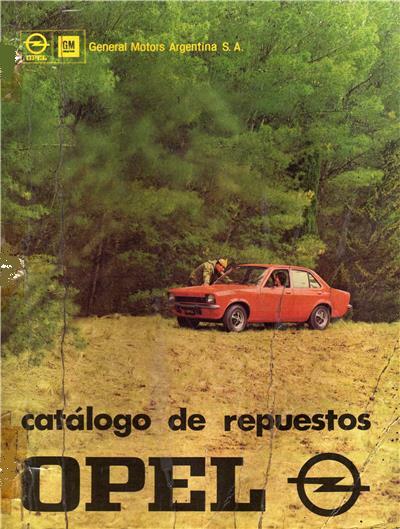 At the time it represented a major investment for General Motors in the country. 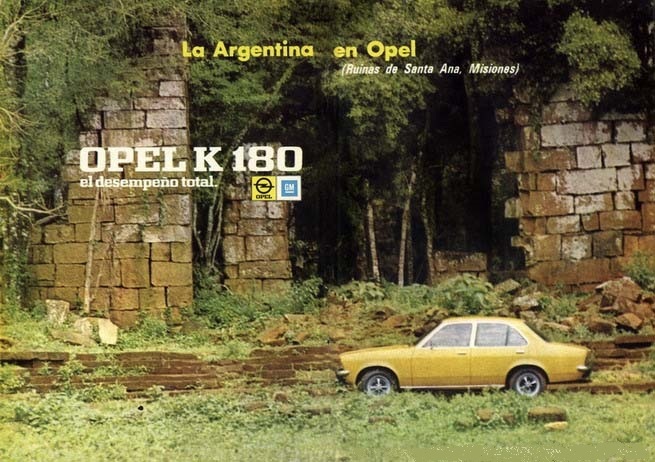 Opel in Argentina had previously been associated with larger imported cars but the K180 was designed to compete with medium sector rivals such as the Dodge 1500 and Peugeot 504, it also coincided with Ford pulling the plug on the Taunus. 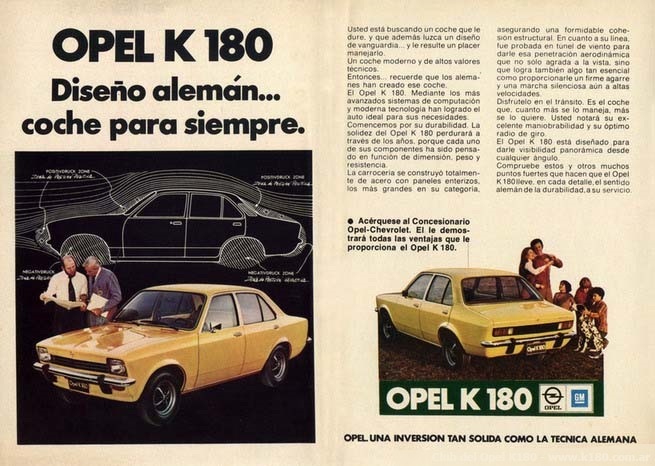 The K180 got its name from K for Kadett and 180 related to the engine capacity which was 1800cc. 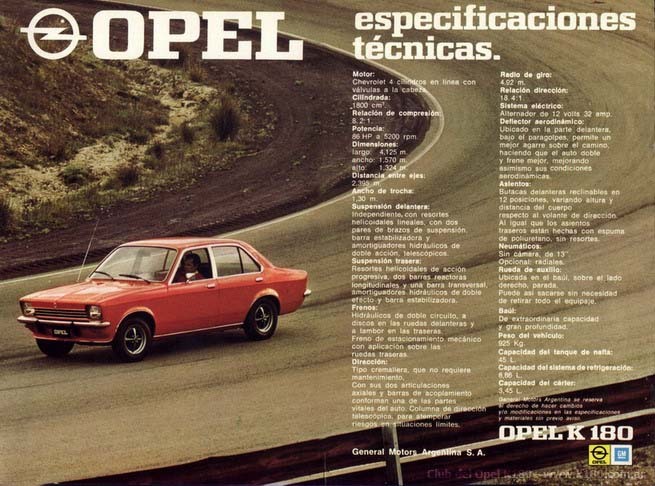 Although almost identical in outside appearance to the Opel Kadett C the engine was completely different and was actually designed and developed in Argentina. Work began on the engine in October 1971 ahead of the T Car programme launch. 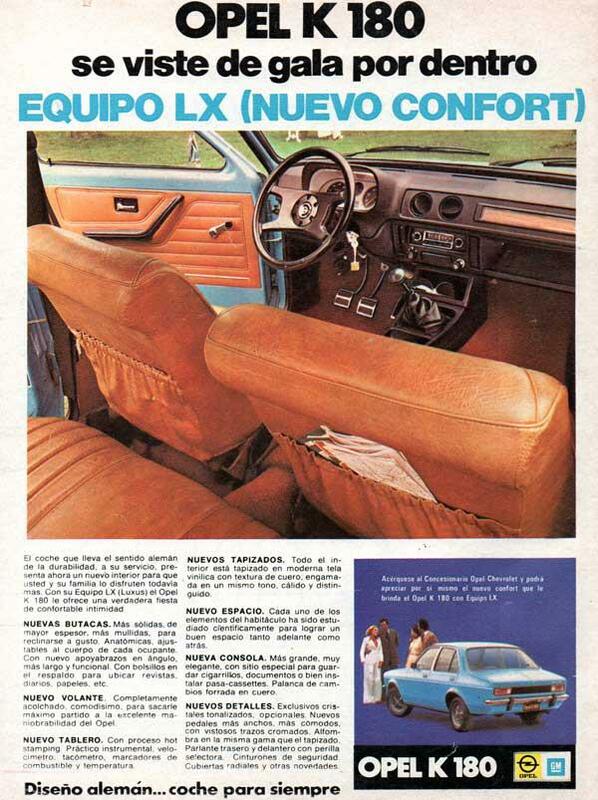 The starting point was the Chevrolet 6 cylinder 194ci unit. 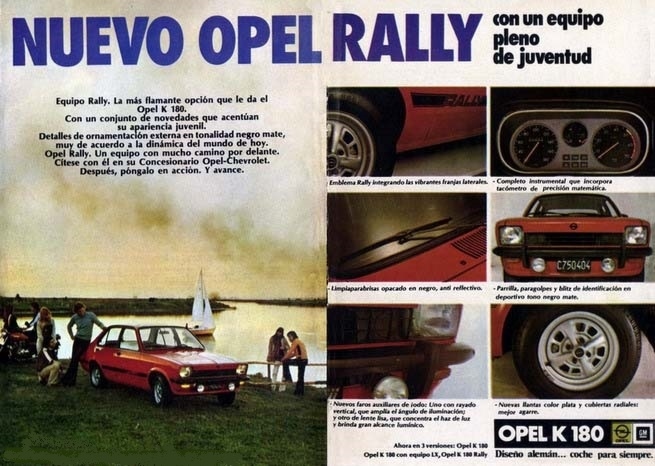 This was then cut down in size by lopping off 2 of the cylinders and then fitted with a new cylinder head specially designed in Argentina. 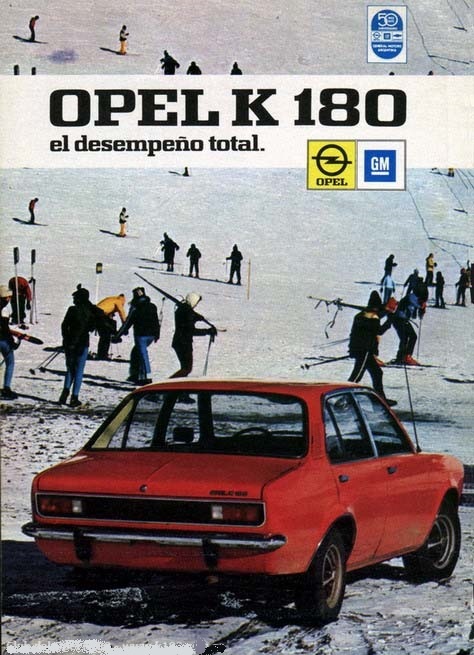 Ironically, the one Opel part that was used on the engine was the rocker cover from the Opel CIH engine. 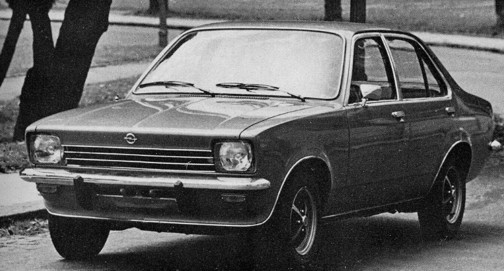 The new engine was named “Chevrolet 110” with a power output of 86bhp which compared favourably with segment rivals. To make the engine fit did require some extensive modifications to the front engine bay and suspension sub frame. 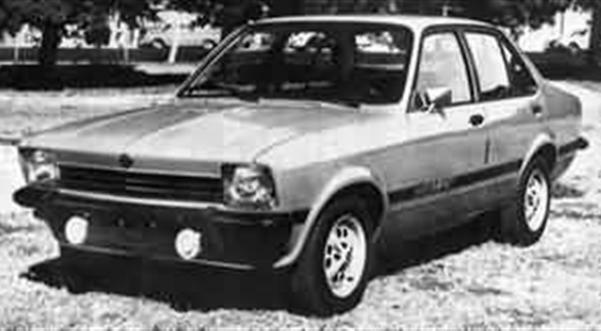 From the rear the car was similar to the Vauxhall Chevette GL Saloon with a matt black rear panel between the rear light units. 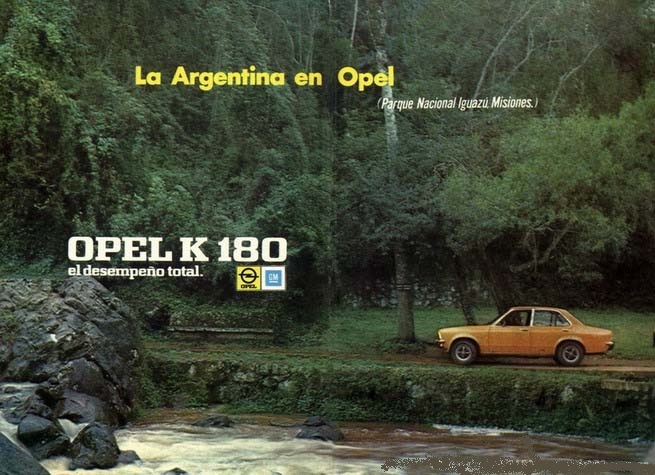 In 1977 the K180 was awarded Car of the Year by APICA (Asociasión of Journalists Automotive Industry and Commerce) a full two years after launch. 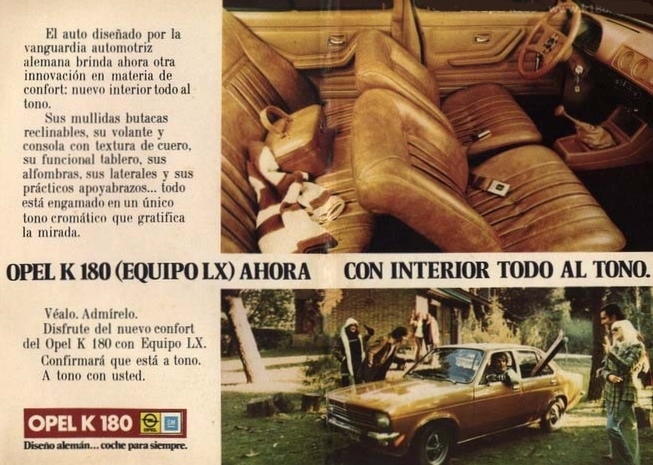 Inside the car used locally produced seats and door trims, also the dashboard used Chevette / Kadett C instruments but the rest of the dashboard and centre console was completely different and was designed and produced in Argentina. 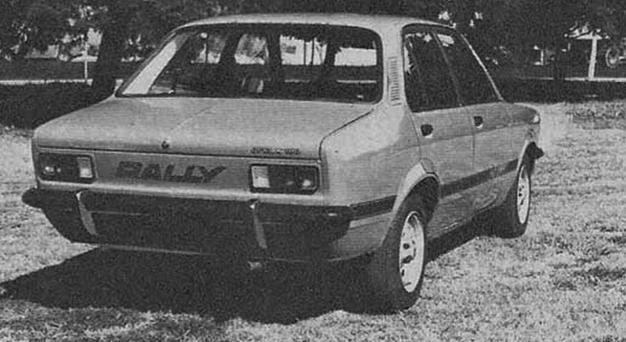 of details like a rev counter, new radial tires, black bumpers, and two lateral stripes with the emblem "Rally". 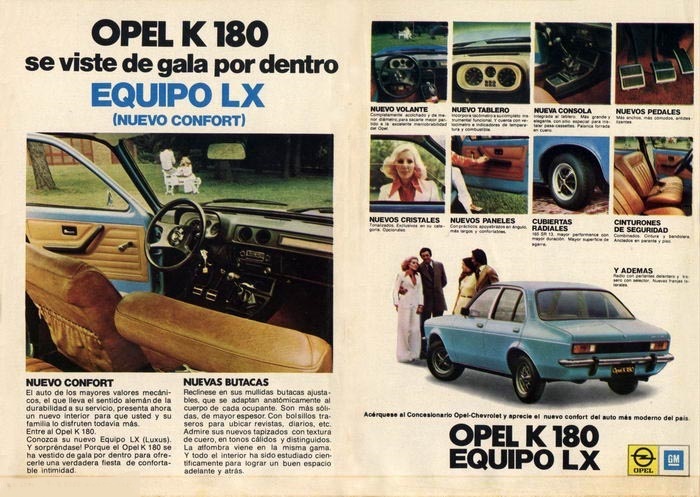 In 1977 the LX was released with a more luxurious interior including a new centre console and smaller diameter leather covered steering wheel. 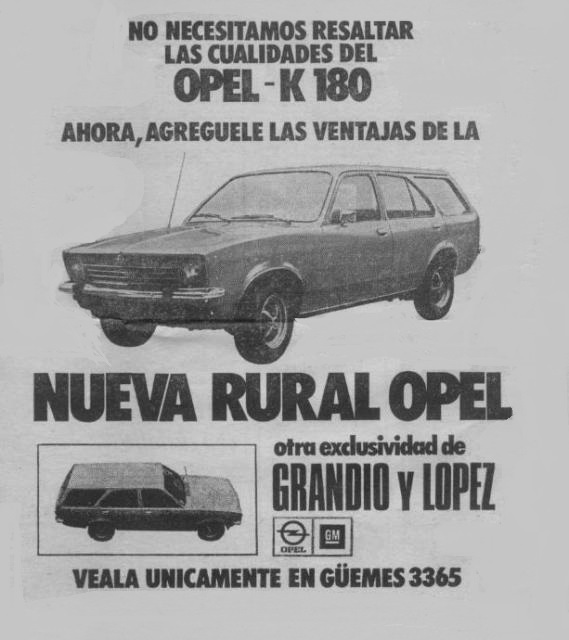 The K180 was only sold by General Motors as a 4 door saloon but there was a conversion to an Estate car available, shown on the right, called the K180 Rural, it looks like a bit of fibre-glass roof tacked onto the back of a Saloon - what a botch up! No surprise that very few were sold! 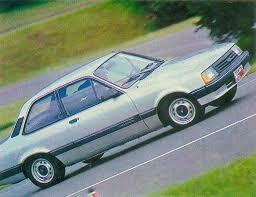 It would have been easy for GM to build a K180 2 Door Saloon, 3 Door Hatch & an Estate but for some reason they didn't. 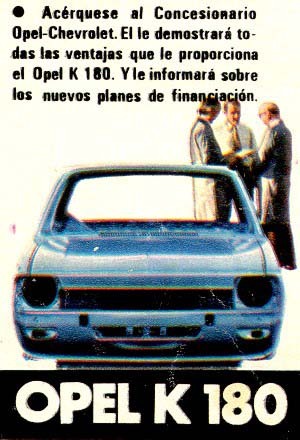 made ​​in Argentina. 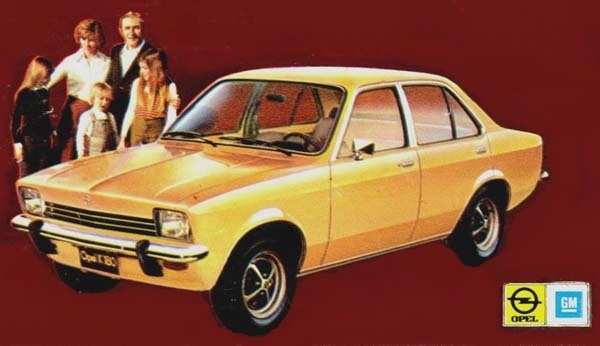 Also the Chevette came with gearbox options: 5-speed manual or automatic. 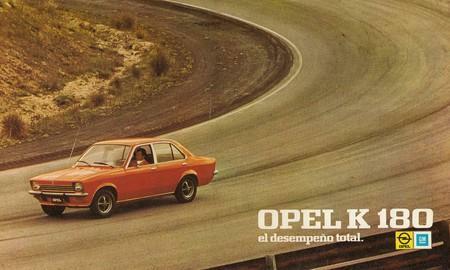 The Opel K-180 was only ever equipped with a 4 speed gearbox. 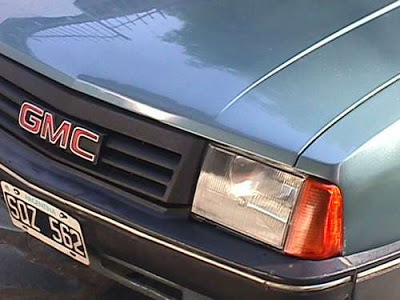 The GMC was available in 2 or 4 door saloon and also the Chevrolet 500 pick-up, whereas the K180 was a 4 door only. 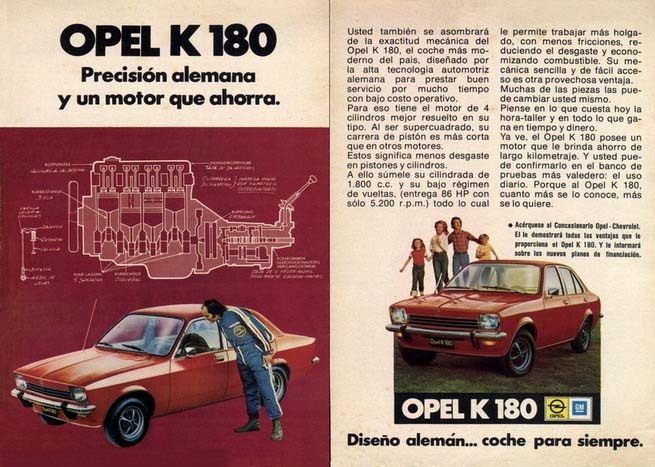 It was eventually replaced by the locally built Chevrolet Corsa but the car ever reached the same popularity as the original K180. 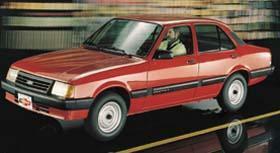 The joint agreement with Renault was dissolved in 1995 and with it the end of the GMC Chevette.